Any runner can tell you their stories about how getting in a good run can immediately improve their mood. The "runner’s high," that euphoric feeling you get when your body begins producing endorphins, is a well-known and scientifically backed benefit of the practice of getting into some running shoes and pounding out some miles. But aside from a good mood boost, what other positive physical effects does running have on the human body? Let’s take a look at how it changes your body composition and your overall physical system, and what changes the body undergoes during an average run. Body composition refers to how much of your body is lean muscle, organs, water, bone or fat. Most individuals are interested in increasing lean muscle while decreasing subcutaneous fat. Losing fat and gaining muscle is a key benefit of any exercise strategy, and running regularly can contribute to these desired results. A stronger body results in increased metabolism, better bone density and a measurable boost in overall health. Fat has its place as well, helping keep hormones in balance and assuring your body that your environment is plentiful and there is no need to stress in response to a famine or other environmental hazard. So how does running affect our muscle/fat balance? In general, the amount of energy in versus the amount of energy out is what determines our weight. With a balanced diet in place, running can create a calorie deficit and promote fat loss through energy expenditure. But it’s important to note that at a certain point, lean muscle will not continue to increase with running, as the exercise only requires so much muscle recruitment for sustainability. Therefore, running combined with weight training is recommended to provide an extra push that creates a shapely body composition with a desirable level of fat versus muscle. Running also provides an important metabolic boost, as your caloric burn increases for an extended time period even after you end your run and take off your sneakers. In addition to a higher resting metabolism, a consistent running routine improves your overall endurance. The longer you practice the art of running, the longer you are able to maintain the exercise, which in turn allows your muscles to increase their capacity to efficiently create energy. Endurance training can help you in all aspects of your daily life, both on the running path and off. Along with endurance, strengthened muscles and an increased metabolism, running also bolsters the health of your most vital organs; most importantly your heart. Raising your heartbeat for consistent periods of time through activities such as running strengthens this major muscle and increases its efficiency to pump oxygen throughout your body. Circulation improves as blood vessels dilate and your lung capacity increases. Over time, these ancillary systems — lungs, vessels, capillaries and cells — adapt to a higher level of energy expenditure and also increase their efficiency in kind. This results in better overall cardiovascular health in conjunction with a heart that is less taxed by activities of daily living. Let’s take a walk—or rather a run—through how the body creates and expends the energy necessary to keep you moving forward. When you first launch into your run, your muscles rely on adenosine triphosphate (ATP) to get you moving. These molecules are created by the food you eat and are stored in glycogen within your muscles and your blood. Glycogen is the body’s energy storage unit, waiting to be delivered and opened for use. As you continue to move, more ATP is unpacked from these glycogen storage units and is consumed by your muscles to keep you running. As you continue on your run, your muscles begin to release lactic acid to signal to your brain that you’re working, and physical activity is underway. In order for your muscle cells to continue to break down glucose, they must use oxygen to do so. Therefore, your body begins to shunt blood away from non-essential functions such as digestion, and begins to bring oxygen to areas in need. In order to pull in and provide more oxygen to your system, you begin to breathe heavier. Calorie use also begins to increase as your body rapidly moves through the energy expenditure cycle. Your core body temperature rises, and your blood vessels dilate to bring blood nearer to the skin to be cooled. This results in redness and flush. You also begin to produce sweat in order to cool off your body and prevent heatstroke. If you have built up your endurance, your body will settle into a sustainable cycle of breathing, sweating and breaking down glucose into ATP. If you have been neglecting your workouts or you are new to the practice of getting in a good number of runs per week, your body may not be able to use energy as efficiently, and your use of ATP will begin to lag. Lactic acid will build up, your muscles will begin to ache and running will become a chore as your body struggles to keep up with the cycle of energy supply and demand. During your cool-down period as your pace slows and you revert back to a walk, your breathing will return to normal, your heart rate will slow and the demands on your body to continue to produce energy in short order will wane. Along with a general feeling of physical accomplishment, the endorphins triggered by your run should now have you in a great mood, ready to tackle whatever comes next in your day. 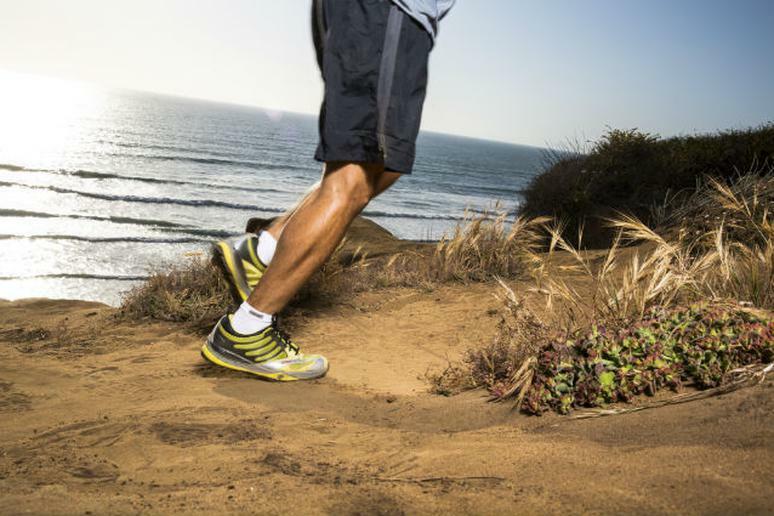 Running is a great way to combine the efforts of many different physical practices into one. It increases endurance, builds muscle to maintain an optimal body fat composition, promotes cardiovascular health, strengthens the heart, and even improves your overall mood. Combined with weight training, running can help you maintain the perfect balance of mental stimulation and physical fitness.